In 1993, Eric Slaymaker had a recipe for the best wings in the world and an idea. Supported by his father, Eric found the money through family and friends to open the first WINGERS American Diner in Bountiful, Utah. That first restaurant was a modular “diner” style building, only 2900 square feet, and was manufactured in Florida and shipped to Utah. The restaurant was an immediate hit, and over the years, WINGERS has continued to grow in the Intermountain US and beyond. 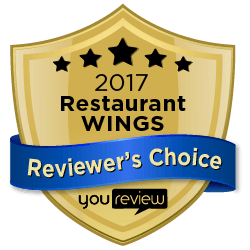 Since then, Wingers has continued to evolve with one constant: a passion for the highest quality food. In 2010, the first Winger Bros. beers were introduced, and have continued to attract new fans every day. New items have also been added to the menu, including salads, burgers, tacos, and a vegetarian menu. While we continue to grow and look toward a future with endless possibilities, Wingers has committed to staying a premiere spot to enjoy great food and fun in a friendly environment that is welcome to all. Wingers knows that you need a comfortable and dependable local spot to watch a sports game, eat some delicious American food, and drink a cold beer. We’ve perfected the art of giving you the comfort of a classic diner with the energy of your local bar. So come spend some time with our family, and don’t leave without trying our famous wings and sticky fingers!